We are well into our two digit addition and subtraction unit! This is such an exciting time in second grade - harder math and cursive! We've been using the activities in my double digit task cards and printables unit. It's divided into addition with and without regrouping. And also divided into subtraction with and without borrowing. There are 6 sets of task cards and recording pages. There's also 8 printables, all divided to use as you teach each part of this unit. We will start estimation in the next week or so ... I will have an update for you with our activities. But for now, a freebie only on the blog! 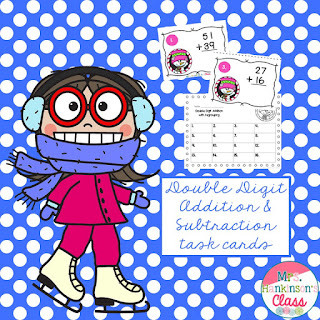 Included are 8 printables for two digit addition and subtraction! 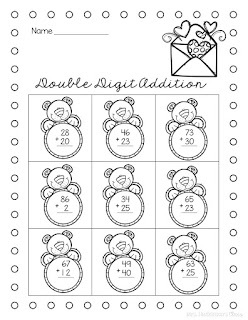 What are your favorite go-to resources for teaching two digit addition and subtraction?